Copy the random17 folder into your SourceMods folder. 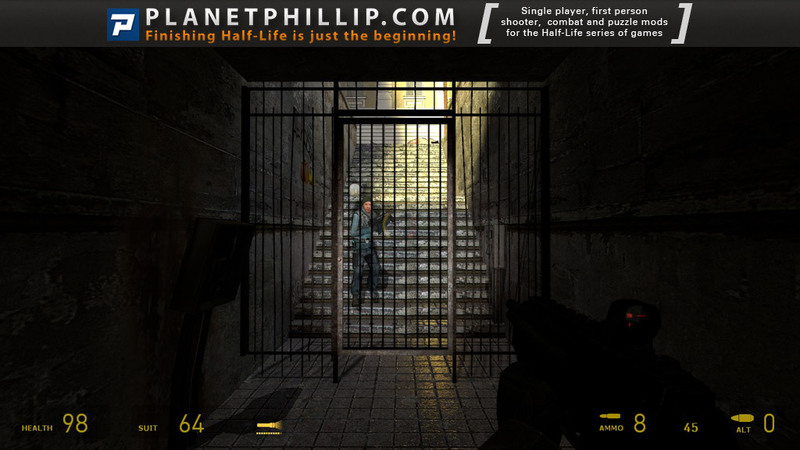 Half-Life 2: Random 17 should now be listed in your Library tab. Apparently, this isn’t the final release but if the author does update it, it will only be minor changes, so I have decided to post it now. It’s a nice looking level, that winds its way through various parts of the city. It does a good job of looking realistic, but as with all these types of levels it’s amazing how there is always one usable path to reach your destination. I often feel a few dead ends should be thrown in, just for realism. The puzzle at the beginning is nicely done and perhaps the best part of the map. I found some of the apartment areas a little repetitive, especially the three doors together setting. It’s a fun little level and quite polished, so I recommend you play it. I really enjoyed this one and said “oh no” when it ended after a relatively short time. A few nice puzzles, great visuals and atmosphere. This appears final except, with the non-ending it has, I bet (hope?) he is in process of making it longer! If not, then I hope he stops work on this, and begins making a new map. Really well done and highly recommend a “play it now”. 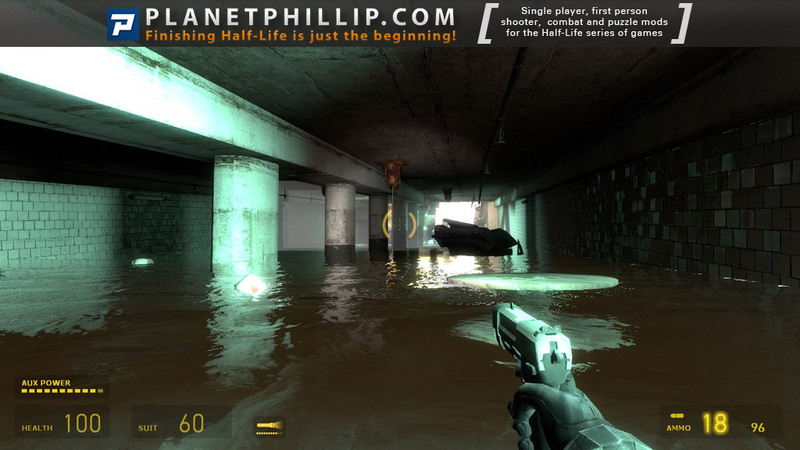 A nice-looking mod that is fun to play even if it is really short. Hopefully this is just a teaser. Not overly difficult in terms of puzzles or combat so crank the level up if you really want a challenge. Short and sweet but a little too bright in places and fun while it lasted! If its only minor changes to come, the author should make this longer as it looked fine for a Mod/Map. Not exactly overtaxing combat wise but the strider took a lot more shots with the rocket launcher than usual (and not a Magnusson device anywhere to be seen (THANKFULLY)). Overall a coffee break offering lengthwise but well worth playing to pass a few minutes. The opening puzzle is nicely done, as it requires you to look around rather than do something obvious to the author rather than everyone else. 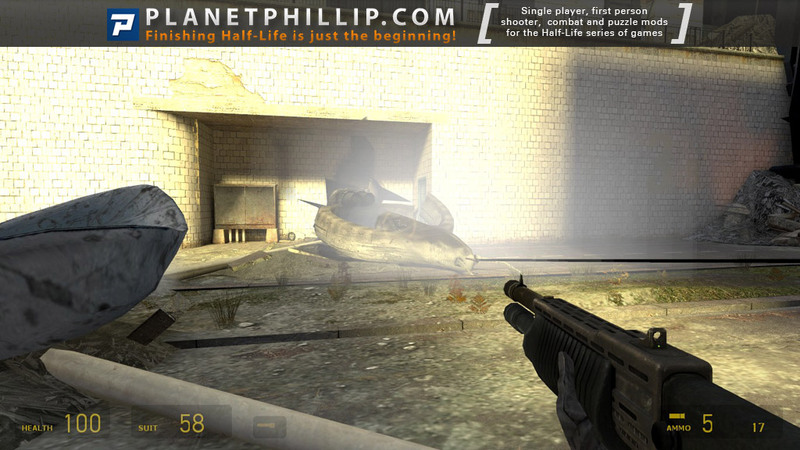 Random 17 is a pure Half-Life mod, nothing new , but what’s there is pure gold. A wet start which is always fun and a very nice puzzle to get the brain ticking over in a nice part of town. I must admit I was thinking of a bit of “noclip” before I tripped over that hook! The light bloom was an issue when I thought I was trapped behind a gate because I could not see the solution. Until I was shooting a paint can for fun, then it appeared and the mod continued. Had some fun in the buildings before I rejoined my fellow combatants and ran across the road to dodge a sniper. Got a little bit flustered when the final problem strolled in, but enjoyed a tense few minutes of mayhem. The only disappointment came when I walked towards the stairs under the archway in the, very bright wall. The mod ended! 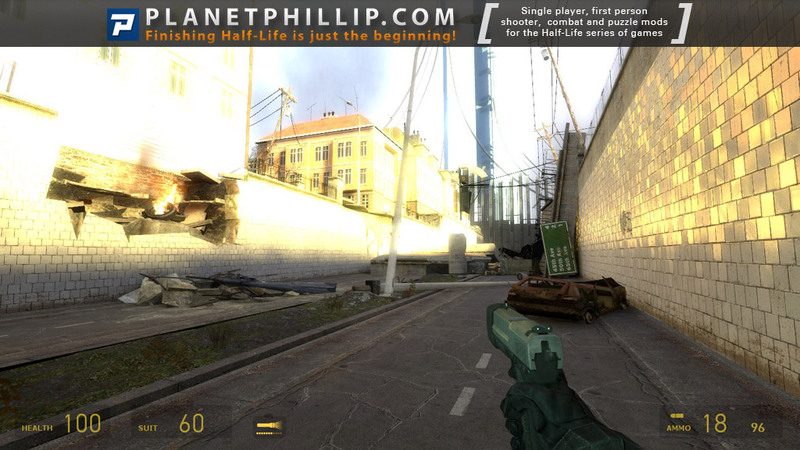 This is classic, fun Half — Life stuff, play it now. And again as it appears it may have some work done later! Grrr… just spent the most annoying 30 mins of my life trying to get this mod to run smoothly on my laptop. 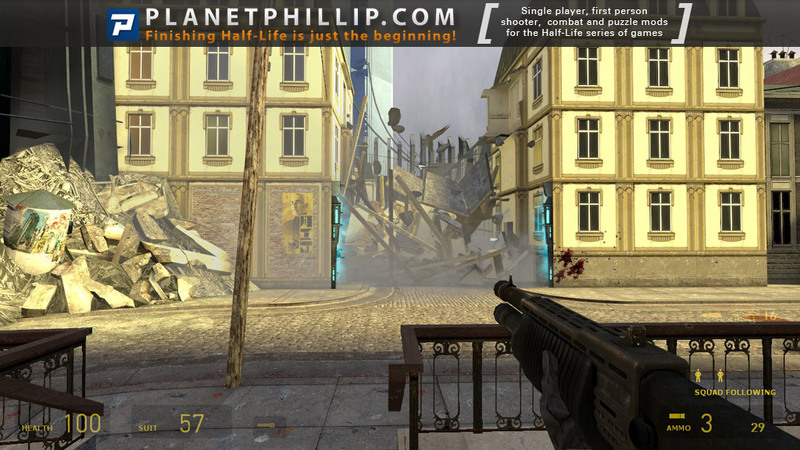 I’ve never had a problem with any HL2 EP2 content previously but this mod dragged the performance through the floor. Had to lower the texture quality and the model quality just to run it smoothly. Would suggest some optimization is required. It looks great though. Tonnes of fantastic detail etc.. love it. Just wish I could play it properly. Oh also… with the exception of the menu, is there any other reason this is a mod and not a map? I didn’t see any custom content included in the map at all. I am in agreement with most others: this is well worthy of the PIN vote. If it was a little longer, and all the bugs worked out of it, it would surely stand a chance of being a PF. I did have some issues with the geometry in the stairwells with water, and almost got stuck early on between the fallen gunship and wall. There were indeed places where the lighting and bloom was excessive, and likewise the darkness was a bit overwhelming below ground given that our sorry excuse for a flashlight would stop working reasonably quickly. That said, the cleverness of puzzles was excellent. The layout of the maps was good, I found myself thinking “gosh my squad would never have been able to follow me around…” and then I found the door to open for them to come through. That was a good moment! All in all, lots of fun. If this gets an update with bug fixes I’ll be happy to play it again. Good mod. True for quite some time wandering through the corridors in search of the right door. Nice looking, excellent detail. The beginning puzzle had me going for a few minutes, but once I attuned to the authors way of thinking, I loved it, wish there were more of this sort of puzzle in some of the mods and maps. I got a bit bored wandering around the rooms and eventually resorted to “no-clip’, I didn’t get a strider but found all the ammo and the rpg, obviously I didn’t ‘trip” something…found the gate by pure accident…..still, it was enjoyable enough…. Arrived at [screenshot 6, but no rebel welcome. Can’t open the door. No cheating!!! Am I misising something, or a bug? Probably not a bug. You need to draw attention to the fact you are down there. How could you do that? Very cryptic, but thanks. I’ll chew on it……. Woow I loved this cooncept of being in C17 again, in those apparments fighting the CMB, but the only thing i’d love in this mod to be great it was that i’d really like to be longer than this one, I mean after that final Strider, I wanted more! !, I mean I really have the taste of more combat here, maybe because the layout was perfect and the feeling of city 17 was in the atmosphere of this mod all the time, it was cool, and I hope to see further jobs of this guy in the future, because they look realy good. Oh yeah and I almost forgot to mention that delightful puzzle at the beggining really clever and so well fited in the mod, indeed, this kind of works, are a shown of how u can have the best of the best with just one map!, that’s how u spot also the good modders, thery really use well the space and the paths in just one map! This is a really well executed map, with the only flaw being too much bloom. The puzzle at the beginning has been done before, but it was still fun trying to figure out the problem and solution all without a word from the author. I had a lot more ammo than I needed at the end, and the final battle taking place next to a rpg box, the resulting soldiers after [spoiler] you take down the strider [/spoiler] are little more than a nuisance, rather than a legitimate threat. While this seems like a long list of complaints, I genuinely enjoyed it. A bit too short, but definitely worth the download. I like this mod. Rebels not distracting your game plan. Very nice scenery, environment. Puzzles very easy, but still very hard, for me anyway. Go play it! I am greatly delighted that many people like my first mod/map. 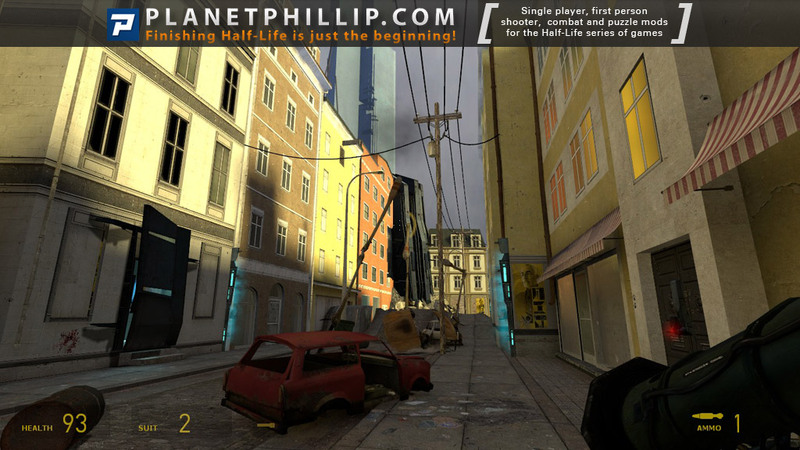 It started just as Source SDK learning, to environment creation, to playable map. The game-play is probably the weakest point but it is the hardest to get please anyone. Second the length but most of the eight month was consumed by learning, fixing and working out how things behave, not creating actively content. I have made some horrible mistakes in this level (without going long technical rant) but it is all valuable learning experience. Now I think the annoying bloom may be the due that all my screens are calibrated to print production. This map had to be distributed as mod cause custom NPC scene. Big thanks everyone for feedback. Currently I have many ideas and soon plan to explore custom content creation. I was very impressed with the amount of detail this mod contained, every set, room and area was so well detailed with a sense of destruction and disorder. The opening puzzle was imaginative, the type I like, logical without too much brain damage. The combat and zombie encounters were not that challenging on easy mode, so I guess I should have played a harder level. 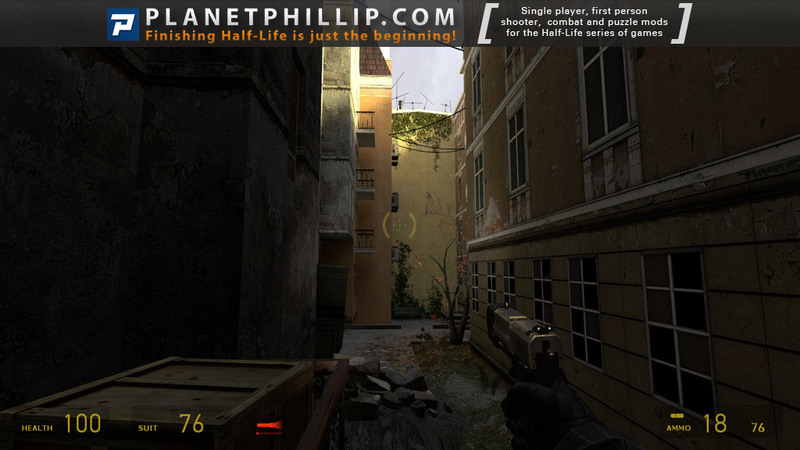 Overall, a great piece of work that offers the player a fine sense of adventure and exploration. 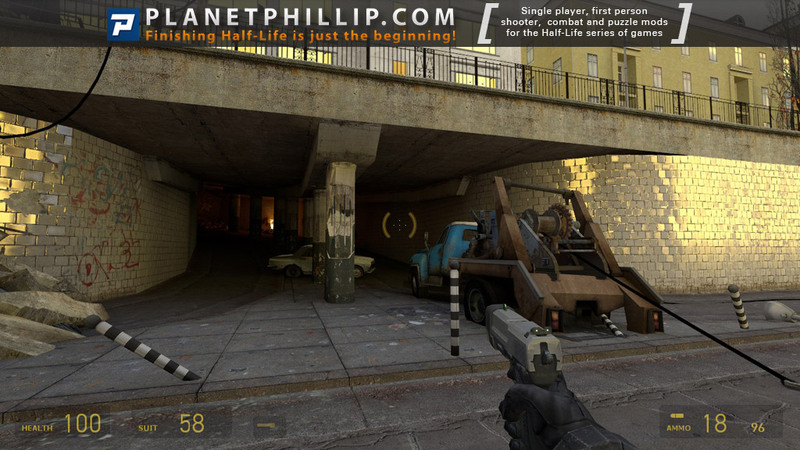 Look forward to the next map from this designer. I wish it lasted even longer!! Worth the download. The indoor areas are cramped but not frustrating. They were definitely my favorite part of this map. The map is not difficult at all, though. 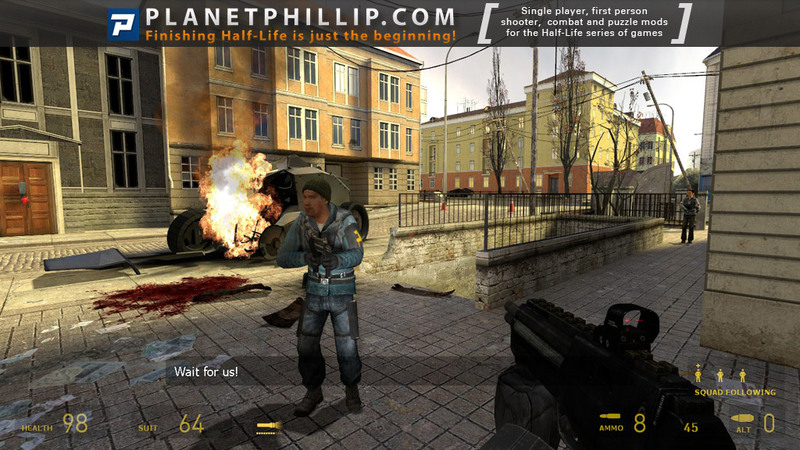 You can ramp up the difficulty by including more enemy troops, such as shotgun soldiers that wait for the player to walk in instead of charging forward into the player’s gunfire. Not bad, but not good either. The mod is too short and too cramped to be really fun. I like the riddles, but was frustrated by moving through those cramped corridors and always “hitting my head” on surrounding objects and debris. In that regard the beginning of the mod actually sets the mood perfectly – unfortunately not in an entirely good way. 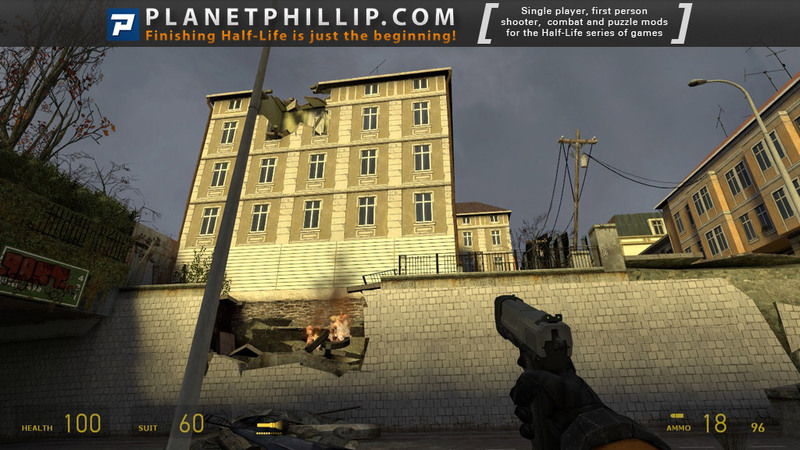 Apart from this general design flaw the modding is actually quite good and the surroundings look beautiful. I also experienced some performance issues, which shouldn’t occur with such an old and well-optimized engine… Play if you must, but there are much better mods out there! Heck, that was FUN. Puzzle was great. Very original. Good combat. Really nice mod, I liked the mapping work with the many, many little secrets and caches you could find. Clever puzzles (especially the first one… took me quite a while) and nice fighting! Also: not too short in my eyes. An adequately long one map mod! Thanks a lot for making it, author! Good show! The map opened with a unique puzzle that brought a smile to my face, then proceeded into a decently balanced shoot-em-up. My only complaint is that many of the areas are dark and cramped, and in many of the areas that aren’t dark, there was a bit of an overzealous use of HDR. I really really REALLY enjoyed playing this!!! From the start, the puzzle element was excellent and I liked the action throughout the adventure. The level of detail and environments are superb but I didn’t particularly like the lighting. Bloom? The end Strider scene was a nice idea and worked well. Shame it ended afterwards, I’d have loved this to continue on. Awesome map.